Dar is the Moroccan arabic word for house or home. 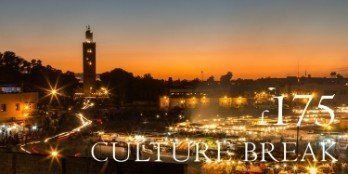 Dar Star has a fascinating history, in the 1940’s when Riad Star was the Marrakech home of Jazz age superstar Josephine Baker it formed the kitchen and servants quarters. In the 1960’s this part was separated and sold as an independent house. We are proud to have been able to re-purchase and refurbish it as two fabulous guest rooms Ebony and Ivory. 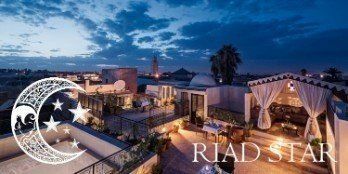 Dar Star offers the option of combining the Ebony and Ivory rooms as an Independent Riad with a private roof terrace and its own door onto the street as well as an interconnecting door to Riad Star. The ground floor patio outside the Ivory Room has a kitchenette with microwave, hob and sink to give independence to guests who prefer to partly self cater. 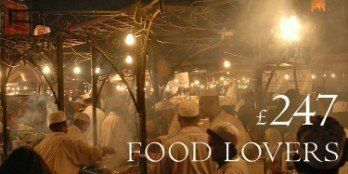 A full Moroccan breakfast is still included and the English speaking Riad Star staff are on hand 24 hours a day to assist as required. Alternatively, with a total of four shower rooms Dar Star could sleep two families in comfort. Up to eight people can sit together in the tent on the roof terrace. 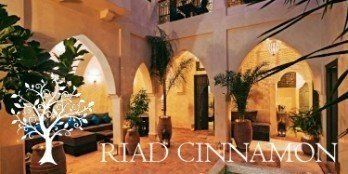 Exclusive use of Dar Star by four people is normally £440 (Euros 528 ) per night including a fabulous Moroccan breakfast served whenever you want. 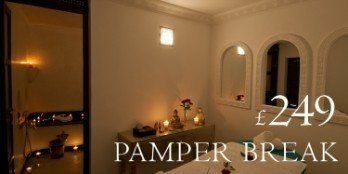 With our internet booking rate Dar Star is great value at £352 or Euros 424. Extra people can be accommodated at a cost of £20 (Euros 24) each including breakfasts. Dar Star cannot be booked online. Contact our reservation team today to secure your preferred booking dates at Dar Star.